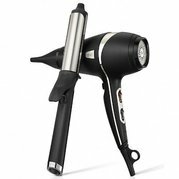 If you’ve been eyeing up a particular GHD styler for a while, there has been no better time than now to treat yourself to one of our stylish GHD products. The limited edition GHD Azores collection is still available, including the atlantic jade styler for just £108.99. The no compromise sleek and stylish platinum stylers lets you show that your hair cares and can be used to effortlessly create beach waves, bouncy curls or even GHD’s signature straight look. If you’re looking for heathier looking curls that last all day, then the GHD artic gold dry and curl tong set is the perfect tool for the job. If ordered with us you will not only receive over £15 OFF RRP, but also free GHD heat protect spray worth £12.95. 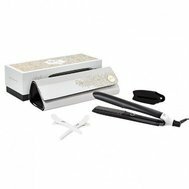 Or why not treat yourself to the GHD artic gold platinum gift set at a market leading price of £151.95. You’ll receive over £20 off RRP and free summer beach bag worth £19.95, if ordered with us. All our GHD products also come with free next working day delivery and if you order before 2pm we will dispatch the very same day.